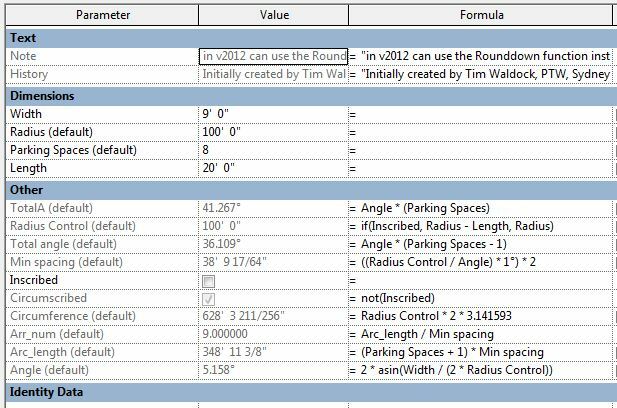 Success came today after I had been trying for a while to parametrically control a radial array within a Revit family. I like to have my parking in bays for early concepts/ layout. I have found that having each, individual space as its own independent component gets tedious and messy fast. Also, here are the guts of the parameters, if you’re interested.